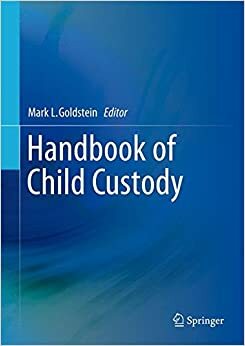 I was pleased that authors Audrey G. Masilla and Kristine M. Jacquin, in their chapter entitled “Relocation Evaluations in Child Custody Disputes” in the newly-published Handbook of Child Custody (Mark L. Goldstein, editor) relied substantially, when discussing international relocations, on my prior article on the topic. My article, entitled “The Impact of Foreign Law on Child Custody Determinations, is available here. “Because of the complex nature of foreign relocation, and what will and will not be recognized in U.S. courts, Morley asserts that when foreign relocation is probable, it is essential for those forensic psychologists conducting relocation evaluations to be knowledgeable and take into consideration whether the country under question recognizes and enforces U.S. custody agreements. This knowledge pertaining to U.S. law for relocations to foreign countries is vital in order to maintain the safety of and reduce the potential consequences for both the child and the left-behind parent. However, regardless of whether the forensic psychologist and/or the U.S. court system is cognizant and knowledgeable to the applicability of the U.S. custody determinations in foreign locations, it is impossible to evaluate the true risk to the child (or left-behind parent) or the potential experiences that may take place until he or she is residing in the country of request. Nevertheless, Morley suggests that various elements usually included within a foreign custody relocation agreement include a specified date of return that is nonnegotiable without written approval via the left-behind parent, posted bond (e.g., money) to ensure compliance with the U.S. custody order, and acquisition of a mirror order (e.g., mirror order from foreign country) in advance and at the expense of the parent requesting movement of the child. When dealing with mirror orders, (1) the verbiage used in the order may not transfer meaning accurately across cultures, (2) the receiving country may not uphold the order, (3) the order can be modified by the resident of that particular country, and (4) not all countries will provide a mirror order.